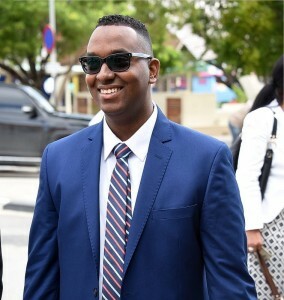 WILLEMSTAD – The Member of Parliament for MAN Yael Plet spoke to various media yesterday the attempt to bribe him to overthrow the government. This attempt was even before the Members of Parliament for Pueblo Soberano (PS) Melvin Cijntje and Sherwin Leonora withdrew their support for the Government of Prime Minister Hensley Koeiman. The person who offered the money wanted Plet to defect to the opposition bloc in parliament. There are speculations about who did the attempted bribery. Plet only said that it was someone he knew from a distance. Plet did not want to comment on how much money was offered to him. But there are several media that reported that the MP was offered 300 thousand guilders to overthrow the government. Plet indicated that he immediately informed his party leader Hensley Koeiman about the attempted bribery. Last week he filed a complaint at the Public Prosecution (OM). The OM is now investigating whether there are sufficient grounds to proceed with a criminal investigation.